The winner of Art Attack’s $1000 gift voucher prize from the Norwest Business Expo was Christine Gardiner of Crestwood Family Practice. Congratulations Christine! You have won up to $1000 off any of our web or branding packages. Art Attack’s exhibit at the Expo was another great success. 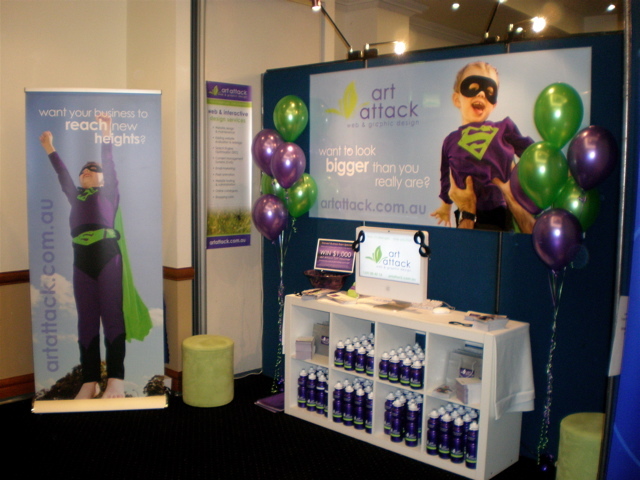 It was the second year running Art Attack has been involved with this Expo held at the Crowne Plaza Norwest on October 22, and the comments about our stand were fantastic. Thank you to those of you who came to see us and give us feedback on out new Superhero campaign (including your comments on our costumes!) It was a very successful day seeing many of our existing clients and meeting new ones. 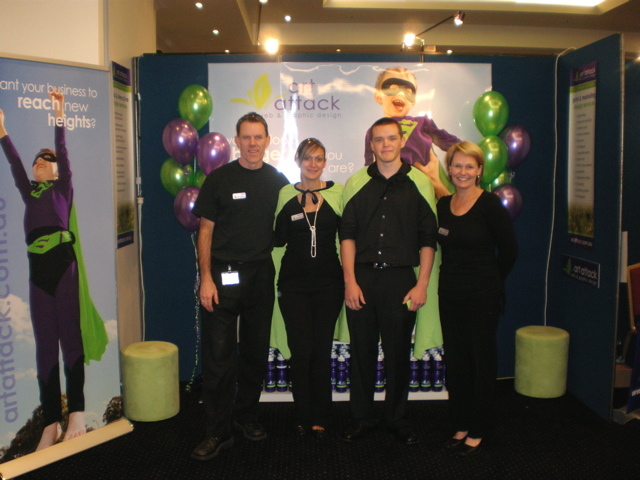 Above: Art Attack’s (L to R) Paul, Sandra, Tom and Fiona ‘on duty’ at the Expo. Above: part of Art Attack’s stand. The Art Attack team was again in full support of juvenile diabetes research at the annual Walk for a Cure on October 12. Paul and Fiona joined Sandra, and 45 of their families and friends, prams and all, along with thousands of others to walk 5km around Olympic Park raising money for Type 1 Diabetes research. 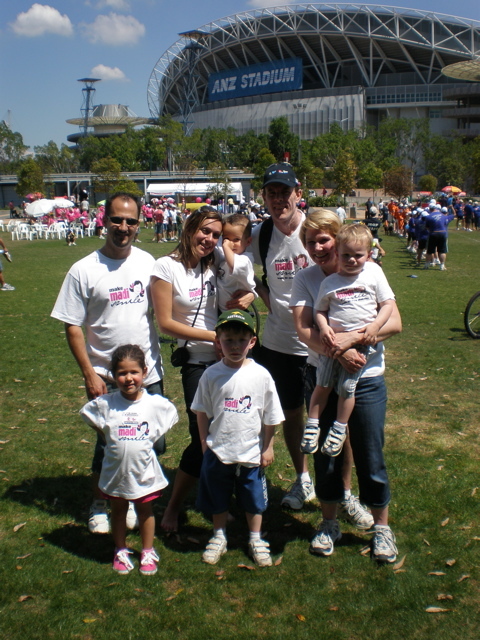 Sandra again arranged the team after her young daughter Madi was diagnosed with the disease last year and together our team raised over $7000 for diabetes research. Thank you to all those clients who supported us again this year for this important cause. Below are Art Attack’s Sandra, Paul, Fiona and their families.